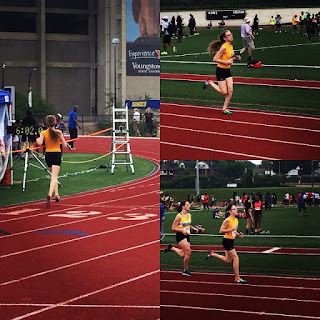 A little over a year ago my very un-athletic daughter (at the time) came home and said she was going to run Cross Country on the middle school team. I don’t really remember what I thought other than a little surprise because she had never really shown any interest in organized sports before. Truthfully, I figured she would go out and run with her friends and that would be the end of it. Boy did I have no idea what was coming…. The season started with her running 2 mile courses in around 20-21 minutes. I remember her coming off a course, finishing in the far back of the pack and telling me she had “made a friend who fell down” while she was running the course. We had a long discussion about how if you have time to make a friend then you aren’t running hard enough. I’m a tad competitive and I think my exact words were “If someone falls down in front of you, step or jump over them and keep running.” Ok...I may be TOO competitive but I remember loving her kind heart and spirit. By the end of that season she was running 2 mile courses in 16-17 minutes and no longer walking or talking during the races. With the Spring came Track & Field and with Summer came AAU Track. The 8-9 minute miles moved closer to 6 minutes and an addiction was formed. 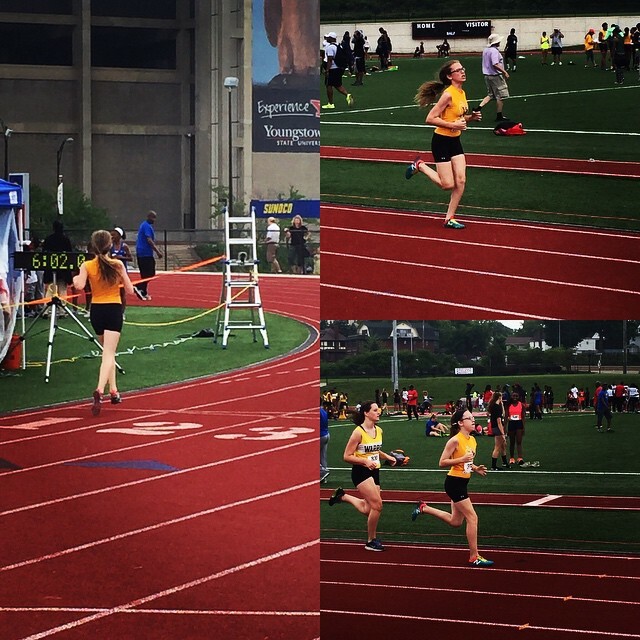 I quickly became a “track mommy” and watched as my daughter excelled in the distance events and made the Junior Olympics in her first Qualifying Meet. Once this years Cross Country season came around her expectations were much higher. She didn’t “make any friends” during the meets this year but she did have three 1st place finishes in head to head meets, a 3rd place finish and a handful of really large Meets where she finished in the top 10-15% of runners. 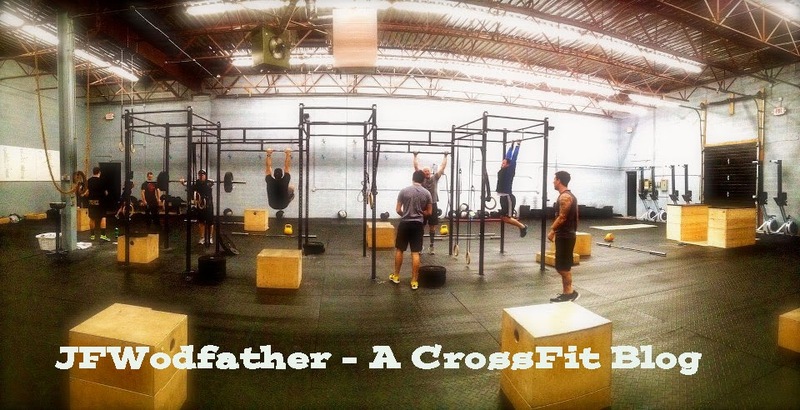 Looking back on everything while I am sure she has learned a ton, I think I have learned just as many lessons from watching her that I am going to try to carry over to my CrossFit training. Have Fun & don’t stress: This kid has no “game face”. She is literally laughing and joking seconds before the starting gun. As soon as she hears the whistle to signal the gun is about to go off it instantly changes and her game face is on. I stress for what seems like hours leading up to the “3-2-1 Go!” Maybe I should just show up and have fun with it. That ability to live in the moment and not worry about how hard everything ahead of you is going to be would serve me well. Define your “win” and respect your competition: Every race she asks, “How high do I have to place to get a medal/ribbon?” She is rarely looking to beat an individual. She will point out other athletes that she thinks are “amazing” but she doesn’t worry about them. It is almost always about a time and placement that she can judge herself on. I am the opposite. I worry too much about being first and should look for happiness in more measurable and achievable goals. Put a bad performance behind you: Like most athletes she has had her share of races where she wasn’t at her best or simply got beat. Like all good athletes she shows disappointment when she loses but usually after about 5-10 minutes she puts it behind her, moves on and is off laughing with her friends. I’ll pout about bad performance for a full day or more sometimes. I was actually hoping Progenix would come out with an anti-depression protein shake for my bad WOD performances. I should try to realize that at the end of the day it doesn’t define you and you will get another chance later. Hard work is rewarded: This kid had one speed and its fast. She doesn’t understand pacing at all. She just goes out, runs hard, and puts in the work. As a result, we have a wall full of medals and have watched her go from running 10-11 minute miles to running a 5:53 1500m event at Junior Olympics. It took her two full years of constant training to get to that point. I need to remember that as well. I have one good workout, go home, look in the mirror and yell at my abs for not coming out. I need to focus more on the journey and less on the immediate results. The last three sentences are great and right on. My son teaches me all the time and he's only 18mths. Patience, Love, and he's teaching me the strength and resilience of the human body/mind. He's also a replica of me, so in a way he's teaching me about myself. He's also naturally a climber and a dare devil which I always was. He may not teach me more than I teach him, but the stuff he teaches me is so much deeper...it's hard to explain. Great post bro. Keep killing it...we're all going to get there eventually. Thanks Zack! Truthfully both of my daughters teach me more than I could ever put into one single post. They make me a better man, father, etc... It’s pretty amazing. Thanks for reading! This is an awesome post on so many levels. Way to be a great dad and such a positive role model for your ladies!